High gas prices have already become a campaign issue across the nation, and Minnesota's gas tax hike has fueled the political rhetoric. House Minority Leader Marty Seifert, R-Marshall, is working overtime to remind voters that Democrats in the Minnesota Legislature helped pass a gas tax increase into law. Seifert said the tax increase is driving up all sorts of costs. "This is something that affects every single person in the state, because it costs more at the grocery store," Seifert said. "It costs you more to go visit Grandma. It costs you more to drive somewhere. It costs your kids more to go to school. It really pinches everybody across the board. Top to bottom." Seifert is hoping to focus attention on the Democrats who voted in February to override Gov. Tim Pawlenty's veto of a transportation bill. Eight Republicans joined every Democrat to override the veto. The bill eventually increases the gas tax a nickel a gallon. It also includes a three and a half cent a gallon gas surcharge to pay off road construction debt. When fully phased in, the gas tax will rise from 20 cents a gallon to 28 1/2 cents a gallon. Seifert is hoping to make those gas tax votes a campaign issue. He said they're running these ads on three TV stations later this week. "You pay, they pump. Who's to blame for higher gas prices? It's the Democrats in the State Capitol. They just pumped up the gas tax by 42 percent, the narrator on the ad says. Seifert had initially hoped to run the ads at fuel pump TV monitors at gas stations. He said that strategy failed after Holiday Gas Stations declined to run any political ads on those monitors. Seifert said he's hoping Super America stations will allow the buy. If not, he said they will target specific DFL legislators on cable TV stations. 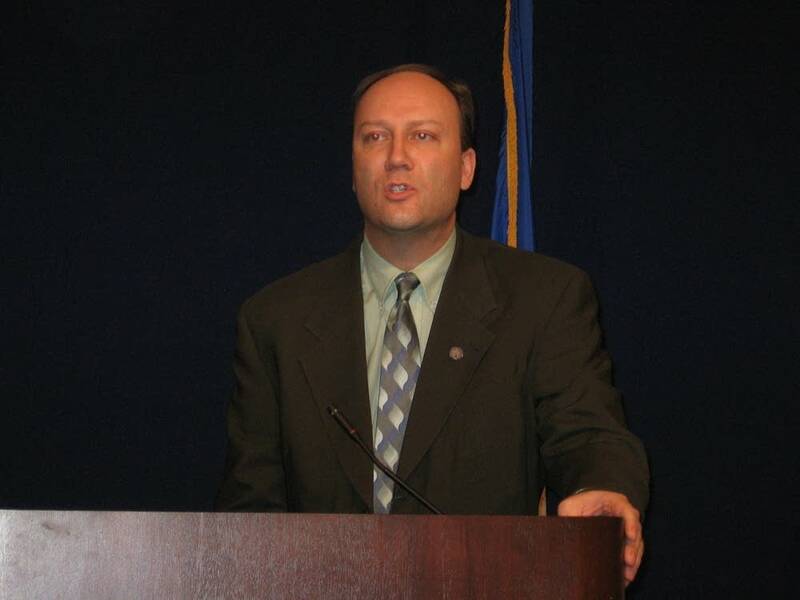 One of the lawmakers he singled out was Freshman Rep. Julie Bunn, DFL-Lake Elmo. "If one wants to get involved in politics and run for office, I think one should expect that there are those who are running against you and want to defeat you," Seifert said. Bunn said she understands that some of her constituents may be concerned about higher fuel prices, but she said the gas tax increase will be dedicated to road and bridge construction projects throughout the state. She said her constituents will benefit from accelerated projects like an added lane on I-494, the reconstruction of the Hastings Bridge and other projects through the added funding. "We are already seeing the benefits for our area of having broken this logjam and moving us forward on adequately funding transportation in our state," said Dunn. Other House DFL staffers said it's unfair for Republicans to blame high gas prices on the recently passed gas tax increase. They say the price of a gallon of gas was $2.96 when the transportation bill passed in February. Now, the price of gas is $3.45 a gallon. 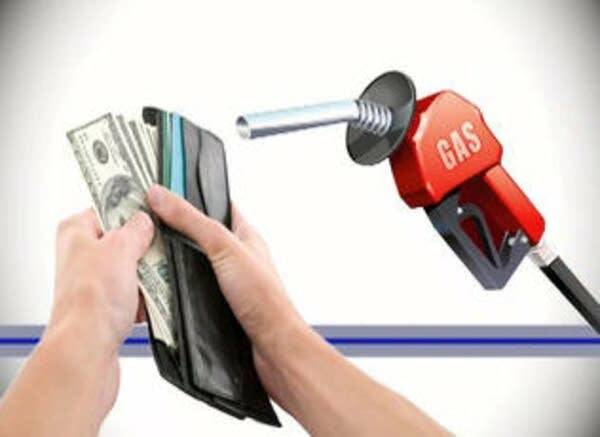 They said the gas tax increased two cents a gallon on April first, just a small portion of the jump in the price of gas. One economist agrees with that assessment. "The day to day politics have got nothing to do with the price of oil being at $3 or $3.40," said Jerry Fruin with the University of Minnesota's Department of Applied Economics. Fruin said global factors are more at play with the rising costs. He said China and India's increased demand for oil and a slowdown in oil production are the main reasons for high gas prices. "We've seen unprecedented demand and a failure to increase supply to keep up with it," Fruin said. But that doesn't mean that mean high gas prices won't be an issue this election season. Republican Marty Seifert said his caucus intends to buy up to $100,000 in campaign ads through November. He said the ads will start running on Tuesday night. But as of mid-afternoon, WCCO and KSTP said they had not received an ad buy.